The sleeper watch - we all have one - don't we? Many of the WIS people I know, have what I would call a sleeper watch. A watch that is not high on any of your "next watch lists", but a watch that from time to time keeps comming back to my mind but then again a watch that I don't jump ad. The old version of the Audermars Piquet Royal Oak Offshore is my sleeper watch. Two Rolex 1665 are one to many - when there are some many other watches out there aI would like. So my trusty old rolex dweller 1665 - perfect dial and case - is on the way to my "watch pusher" in Denmark. I hope that the watch will finde a new and good home - where it can give some new owner the joy of wearing a super classic watch that still are in perfect shape and will give any modern watch a run for the moeny. The look of a classic watch - like a tudor sub, omegan speedmaster or rolex sub will any day be a better look and with more history than any newer watch. I will continue to have a 50:50 split between vintage and semi modern watches, as I love both. I have even said to Micki that if he can find a "swap" watch I could also be interessted. So I hope that this nice vinatage can find a new safe home, and that either can get a new vintage watch, or any othe watch that have been on my "next watch list". In school the kids are using ipads for both play and work. But what is the deal with this Ipad. Not easy to transfere movies to it, apple need my creditcard info, I have to install a itunes program to access the device,etc,.. I need to understand the "easy" way of working with this device. So far I'm not impressed. This watch was in part thanks to my WIS friend, that showed my the watch on subgmt.com. And even if he also was very interested in it, I ended up with the watch. That arrived with FedEx last week. But back to my new watch - the gold and steel rolex sub - never model 16613 - and in perfect shape, and with B&P. You might know that I have moved into the "golden" age, and have seen the light of gold watches. Something I would NEVER have talked about 4 years ago. But now I have it, and have been wearing for the last days. And the look is more prefect that I would think of when I have seen photos of this model. The wife still think that my Panerai is the "BEST" watch I have, but as you know I'm into vintage watches, but the price of a 1680/8 is a little high for my pocket. Well enjoy some quick photos of my new baby - my Rolex 16613. After seeing the gold gmt my WIS friend have - I slowly started to be drawn into the golden world. But again it was very limited group of watches I started to look at. Only Rolex, and as time went by - I ended with a Rolex Day Date - 18038 - a iconic watch from my view - as long as I can remember - from the first time I started looking at Rolex watches, the Rolex Day Date was a watch I would NEVER get. But I proved to be wrong - I finally got the watch. But I have NOT been wearing it to work, ONLY at home and during vacation and weekends. And that it a shame, this beautiful watch deserves more wrist time, and again my WIS friend and other just tells me to wear it to work. So when I was able to get a Rolex gold/steel sub (16613) I jumped at it. My good old friend came by today with his little selection of goods. Two of my dream watches, Rolex 1655 (with a perfect dial) and Rolex Gold GMT (again with the most beautiful dial). I got to show my newest watch, my rolex sub 16613 (gold and steel). The GTG was with focus on what to look for next, the watches we both like and the watches we might sell. 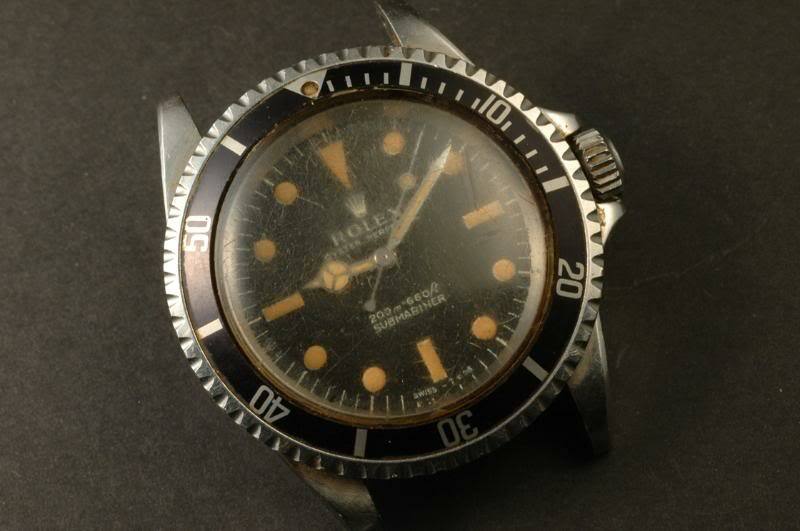 I will sell my 1665 sea dweller, and maybe, and only maybe if the right offere came, my friend will sell his 1655. As always I made some quick shoots of the little watch collection. The joy of GTG - more to come. I hope I can have a little GTG, to show my friend the watch and have a nice watch talk. The "problem" with us WIS people is that even if there are many good watch forums on the internet, nothing beats the GTG where you can sit and talk watches and let your little watch collection change hands and see many other watches you would only see on photos. And when the wife or girlfriend is not into watches, it is always nice to show any new watch to persons that can "understand" the joy of getting a new or "old" watch. So stay tuned - maybe some GTG photos will come up. Women and vintage watches - do they match? I have tried to get the wife to wear a classic Rolex lady's watch - but no cigar - she much more prefer the plastic watches with colors (like subgmt.com), or other less expensive watches that go well with different outfits. From my point of view a classic Rolex on a oyster bracelet - will GO with ANYTHING, but that is me - and so far I have not been able to convince her. Again I can see that my interest in vintage watches have NO effect on the wife. And even if I try to "educate" the daughter in the beauty of a vintage Rolex, it has no effect ;-). She is on her mothers side and enjoy the ability to have different watches in different looks and colors over one classic Rolex. Well I guess this is just the way it is. I have to NOT understand this, just as the wife thinks of a my old Rolex as the value of a new kitchen or new wash machine or any other thing for the house. Back from Berlin - watches and windows shopping. Just back from a quick two days trip to Berlin, my first trip, and it will not be my last. It is a very nice town, with the history all around and for a WIS like me, windows shopping at different watch shop. As I was on a trip with the wife and we had to also enjoy the many historic places, the watch windows shopping was limited. But next time I will hopefully have more time. I would like to highlight the HUBOLT watch store on "Kur.Dam", the saleslady was a very informative and with a positive attitude towards me as a watch "browser". I did try two of the classic HUBOLT fusion watches, and even if HUBOLT watches are not on my present radar, the opportunity to try out the watches are very important. Trying on a watch can make a big difference, watches on photos can look good, but when you get them in your hand the eg. lack of quality can quickly felt. Another nice thing is that even during the late night, the watch shops keep some watches on display, something you would NEVER see in Copenhagen - there ALL watches are removed. That was a big positive surprise for me. I'm normally not that interested in going into watches stores just to "browse with the eyes", I will normally ONLY enter with a specific goal in mind. Trying a watch for size, making a direct compare between watches. The idea is for me to have a place to collect watch related information and other information I find interesting. My first idea was just to collect the data for my own use. But then I remember my own initial start into the world of watches where the problems of buying the right watch at the right price, and all the questions related to buy and spend my very limited money on a "new" vintage watch. All this information I hope to be able to collect in one place, so some of my own questions and answers is collected here for anyone to access and use. What is so special about vintage watches!! But that said - it all come down to your interest. I would NEVER recommend a non WIS, that only needed a watch to tell the time of day to move into vintage watches. That is a road that is difficult and with many traps (be careful when trading vintage watches). But again - the joy of vintage watches is something I just cant get over or easy explain. First I think there is something nice about the watches from back in the time where watches was just watches. Nothing more - nothing less. Now we get watches in all kind of shapes and forms, and watches have become a new fashion trend, with new brands getting some light that would not have been possible in the "good old days". The other aspect I like about vintage watches is that even when a watch is plus 40 years old - it still looks good. That I can say about my rollies, my GMT master 1675 from 1961 (pointed guards) looks just as nice as my newer rolex sub (16610LV). My Day Date (18038) - is now moving toward being 30 years old - but still looks sharp and classy. Yes - I did transfer the money today, but as I'm out of town the next 3 days - it will not be until Friday this week I will have the watch on my doorstep. And I will enjoy wearing it to work on next Monday - stay tuned for the reactions. Again I made a smooth deal with Henrik from subgmt.com, a guy I have done some trades with over the time (My daytona Zenith, Day Date and now a steel/Gold sub). As always the transactions have been easy and quick. And I can ONLY highlight the old saying - buy the dealer not the watch. And at the same time scroll down to my stupid actions when dealing of a watch face to face here in Copenhagen. It almost went very very bad. But the only watch the bad guys got away with was a plastic subgmt.com watch from Henrik. NEXT watch - Gold/Steel - maybe? I'm looking for a new gold/steel Rolex - model 16613 - have a request out - now lets see if I can land this watch. I miss to take some photos of new watches - and the joy of wearing a gold/steel to work is just something I would like VERY much. See the post before. This is one of my "sleeper" watches - to get it or NOT to get it, as it will delay my other watches on my "next watch list". To Do or Not To Do - wear a gold watch to work. Had a nice talk with one of my WIS friends about my thought to the wear my gold day date on the job. I will not - as I think it brings to much "attention", but my sea-dweller 1665 (in reality more expensive than a day date), brings NO raised eyes. So I wear my Rolex Day Date 1803 on vacation and at home, not even at a BBQ with the friends that live next door. Well I do think I could handle a mix of gold/steel and I'm also on the lookout for a nice 16613 with blue dial. That is a nice watch, with a bit of color splash. That would raise some eyes at work, but somehow I would enjoy it, and making some managers look twice. The rolex daytona have always been special, hard to get, and with used prices much higher than from new. This was true for the old Zenit steel daytona, and not so much more. Personal I don't think it was due to the fact that Rolex wated to create a hype - somehow the "old" rolex way of working - was to produce and release watched in their own speed, and not give in to marked hype. The Rolex Daytona Zenith model will continue to have high focus, and this model is on my list of iconic watches, even if the Rolex daytona have changed more than e.g. the Omega Speedmaster and Rolex Sub. Should I get a Rolex Daytona of the newer versio, with Rolex inhouce movement, the super nice clasp system, but with a dial I find a little less attractive. The history of the different brezel on the Rolex Daytona can be found on vintagerolexforum, and yes this is what we WIS people like to see. Get into the deteails. I do like gold .. The more I look at my watches - the more I think I'm "growing" up. If I was asked for 2 years ago - I would never see myself with a gold watch, but shomwhow I can see my golden age comming. I will not be suprised if I get a additional gold watch maybe after my 1655. (Somehow my next dreamwatch is the Explorer II (1655), it does look perfect, special, something you don't see every day, and the right size). But I'm stating to get more and more into GOLD watches, maybe a mixed steel and gold watch. Back online again - to loong time since my last update. Well if anyone of you have seen no update on my blog your right. To much real work and family time have not allowed me the time on my little hobby. So I have been away from most watchfora, have no or little idea of any new watches that have come around. Maybe I can catch up when I have some more time on my hand, but the last 6 month have been CRAZY in terms of workload. So to sum up, no new watch input/output on my side, I have to catch up with the different forums and see what is going on in the wonderful world of watches. Just had a bad experience with a watch sale - all the alarm clocks did ring, and I was careful. But to make a long story short I was robbed by guy with a big knife when I went to meet a person for a possible watch trade. It all started out with me wanting to sell / trade my 1665 - received many interest, and talked and sms with a person that "looked" like he know what he was talking about (maybe a little trick question would have exposed him), so after a week of talk and sms, I was to meet him. As I was not 100% sure of the deal, I went with a dummy bag (containing some straps and a plastic "rolex"), and keept the real deal in my car. Was at the address awaiting him to open the door, when out of the dark, a person with hood and something to conceal his face came running toward me - yelling "Give me the watch, give me the watch", and at the same time flashing a big knife towards me. I gave him the dummy bag and stared running to my car. Drove home and said to myself - yes all the alarms was blinking, but I went into the trap. I did not bring the watch, but that could have been a bad situation. Me against a guy with a knife. That is crazy that a 1665 can cause this action - what can a 1665 be sold for when it is hot!!! So all I can say is be careful out their. We are people loving watches - and one bad episode should not stop me from making new meetings with others "unknown" WIS people we meet through the net. So just be careful, and be safe. I have one or two watches that I can't really let go from my mind. When I think about it they are not a candidate for my next watch, but then after some time they pop into my mind again and I have to go through all the options on that watch, should it be on my next watch list, or should I just forget about it. Then I say to my self, that it is just a fun watch, and not really a watch I would like (there are many other watches on my next watch list). Then time goes by and the watch model turns up again. I could forget all about the watch again, or should I jump in and try it out - meaning put it on my next watch list. I finally went ahead and got my first Panerai - my still used and working Panerai 24C, that has seen real use and abuse. And that move was not something I have regretted. The time used on Panerai have been fun and worth every penny. (My Panerai roadmap was, Panerai 25C, Panerai 4B (PVD), Panerai 1B). My second watch where I did this was the Linde Werdelin watch, I had looked and looked, talked to my self on the pro and cons. But finally I go the Elemental watch, and this is still a ongoing story with me and Linde Werdelin. But I still have the situation where I can't really say what and why the LW watches have a special place for me. Time will tell if I update my next watch list with a Linde Werdelin watch. I see my self coming back to this model and perform searcher on the net for it - and I don't think I will rest before I have this also. But so far the watches on my next watch list have not given in to this watch. Now I only fear that the PP Nautilus (jumbo) is next on watches that I will start to look into - but that I can't afford. Some of my watches that was not in the "plan" but found their way to me - and I'm glad they did. Which watch is most iconic ? A question that I sometimes, but not very often ask my self. What watch that are still being made today will I say is the most iconic watch. This means that watches that are no longer in production, can't win this little contest. But model of watches that are still being made can join the club. I still believe that the Omega Speedmaster is one of the most iconic watches made, and is still made. Rolex sub is also in the same category and must also be included. Next I might add the PP nautilus, for its clean look, as well as the day-date. So let me recap the short list of my candidates for iconic watches. As you can see the list is a little rolex heavy, but that is the way I see it. Rolex have a loooong and stable history of watches and models. No collection is complete without a speedmaster. I think that I somehow is getting the gold bug, the more I look at gold watches the more I think they have something special. I could easy see a gold sub, gold gmt or even a mix of gold and steel. Yes the gold / steel combi is somewhat underrated, and the prices are still very good. Some of the newer gold rolex models are maybe a little over the top, but the original slim rolex gmt, rolex 1680/8 subs and not to forget the day-date are just perfect. Funny thing is that I might even look at a day-date in white gold. That would be a simple yet special watch. A watch that only the WIS people would see as a white gold watch. Well the TAX and VAT on old/used watches is something special in Denmark. Buying a watch (used rolex) from outside the EU, demands that you pay TAX (about 1% or less) but also VAT 25% of the complete price (watch + shipment). That more or less make buying watches outside EU a no-go for me. That is to bad, as the net gives the option to by watches from all over the world. It is the same situation if buying from a private person - that also means 25% VAT in extra price for any used watch outside the EU. My quest for a Rolex Explorer II 1655 (straight hand) is now moving into a part where I have send request to two private sellers, and is awaiting their replay. The Explorer II have a big place in my heart - the Rolex Explorer II (16550) was my first rolex, my first expensive watch, and the was selected over rolex subs and gmt at the time in 1985. So I'm a sucker for rolex explorer II , from the first model to their last, I could see my self having one of each model number (1655, 16550, 16570, 216570) - check out this write-up on the rolex exploer II it explains the history very good. I for one LOVE my 16550 Exp II, and because it was my first it will be my last !!!! Now I only need a 1655, 16570 and 216570 explorer II !!!! What will be my old man's watch? What watch will I be wearing 24/7 when "growing" old? Will I still have a sporty rolex tool watch, or will I select to wear a more "classic" old man watch, like a day-date, nautilus or other type of watch that says "class" without being flashy. I do like the deep sea now, and like the beast. But will I be wearing that as a 24/7 watch when I watch my grand children? Yes I know its many years in the future, but that is something I think about from time to time. With the Basel watch fair over - I must confess that for the first time in years I have not spend hours on multiple forums looking at the news of the watch world. I have come to the conclusion that I'm moving into the next part of watch collecting. The time where you look carefully for the watches you always have on your mind. It is time to finalise the collection, and enjoying the changing and use of your watches. Personalize your watch or not? Coming from the Panerai where there is a whole world of changing the look of a watch by straps and buckles. This is nothing we see that much in the rolex world or for that matter any other brand. But somehow I see this changing a little. I see the use of Nato straps becoming more and more excepted (well on rolex Nato strap is also "original"), and now there also exist rubber straps made to fit rolex perfectly. So it looks like the personal customization is on the way up. In the Panerai world there is a "big" business in straps, and some of these strap makers have started to make straps to other watch brands. Personal I find that it is OK to change the look of your watch if you can restore the watch back to its all original look. And that just me as a WIS - for any other person it would be ok to make engravings, have it polished, or even DLC covered to make their watch very personal. That might be OK for some - but for me it is a little more a no-go way. A little off-topic - but still something I can use in my "watch hobby". I have got a new used Nikon D3S - 12 MP, so now the hunt is on for a good lens that will do some macro and maybe be my walk around lens. Why did I get a professional digital camera when a Nikon D7000 would produce better pictures and be cheaper to buy and not least cheaper to get lenses for. Full frame lenses (FX) are much more expensive than crop sized (DX) lenses, and the size and weight of a FX camera is much more than from a DX camera. Well I will try to explain. I used to be a professional photographer - in the old days with film (b/w and slide) - using my nikon F3 , F4E and last F5, before moving to a new career in the mobile industry. I have many of the old time professional lenses, from 20mm2.8, 24mm2.0, 35mm1.4, 50mm1.4, 85mm1.4,135mm2.0 and last 300mm4. Yes from the time where zooms was not really a option. High iso doing sports meant shooting Tmaz or pushed HP5 to 3200 iso, shooting wide open. But back to the reason for me selecting the D3S over a smaller and "better" camera. First I'm no pixel peeper - it is much more on making photos that have something in them, than shooting brick walls and looking for imperfections. There are some difference between camera forums - e.g. the nikon forum on dpreview - it is all about mega pixels and pixel peeping. Next I'm a guy for things that work (just like my watches - use them and abuse them) - and a pro-digi camera will keep on shooting. The Nikon D3s i have is a old and used lady (like a vintage 5513) - having shoot almost 400.000 shoots, but it just keep going. Still no confirmed news from the Danish TAX office regarding buying watches from private persons or used watches from countries outside EU. The last information I received from the TAX office was that there will be 25% TAX on ALL items imported from non-EU countries - (package price plus postage) - meaning that a used rolex sub imported will be more than 25% more expensive that if the watches was sold from a EU country. But just to recap my ongoing thoughts on my next watch", here are the main watches that I would like to have in my family if "time" was no option. Have been fascinated by the Danish watch brand Linde Werdelin for some time - and my old Elemental watch does have something special over it - It looks nice, its not to big, it's a real tool watch, and last it is not a watch you see every day on the street. Before I decided to get a Linde Werdelin watch it was very difficult to see them in the flesh - but I was lucky to visit the danish R&D branch of Linde Werdelin - check out my photos and story from that time here. Well now it could be time for a new re-visit to Linde Werdelin to check out their new models - and maybe I will once gain be taken by the watch and fall in "love" once more. I have a soft spot for gold watches, but somehow the expensive models of LW is a bit out of my price range - maybe one of their standard models is more me. So stay tuned - maybe LW will let me return to a quick visit and hands on their watches. Well the LW watches does have something special about them - here some photos of my LW elemental. Not a secret that I'm on the look out for a Rolex Millgauss GV - yes a modern rolex could be my next watch. I have been on many watchforums and online shops, including some Non EU places like bobs watches in the US of A. And after some mails regarding watches and photos. But almost when the deal was close, I contacted SKAT in Denmark to hear if any issues in relation to buying a used watch from a NO EU online-shop. The first response was OK from SKAT, I could import the watch - with a tax of only 1 EU/$ - but just had to add the VAT (25%)!!! With VAT of 25% it was a no deal - even if Bob/Paul could give a good price, the extra VAT of 25% was a no-go. I have contacted SKAT once more - becasue buying used watches or anything used is normal NOT to have VAT on. And buying inside EU is no problem, but why should something used from the USA or Hong Kong, or any other place outside EU be taxed 25%? Well I await the replay from SKAT once more with answers to my additional questions. Stay tuned - maybe I can deal with Bobs watches or any other watch shop outside EU, and maybe not. Don't know the rules in other countries but I find that 25% added TAX on a used item is a bit over the top. Was out yesterday - I had two days off - and the first day off I used to take a walk in Copenhagen and visit both camera shops and watch shops (used and new). As I'm on the lookout for a macro lens for my Nikon D3, and maybe also the expensive 24-120mm /4 lens. I did find some used macro lenses but found these to expensive. On the watch side I made the first visit to small used watch shops that have rolex watches on display. But my walk also went to the local rolex AD where I wanted a second look on my new old Rolex 1665, just to have them check if everything was ok with the watch. It just looks so good that there might be something wrong. After the initial small talk, I received the new Rolex catalogue, and went upstairs to the watchmakers. Very nicely placed behind glass inside the shop so it is possible to have a direct view into the workplace where watches are fixed and with all the small things on their tables. And yes a lot of rolex stuff is their - many nice things for us WIS people. The first watchmaker examined the watch trough a loupe and found nothing special, all original from his point of view. He then went into the inner room to consult another watchmaker, and she also did not see anything wrong with the watch. So all was dandy - and I got a confirmation that vintage watches are not part of their focus. If they get a vintage watch in, expect replacement of dials and hands - So it is mandatory to specified what is NOT to be touched. My next watch - Modern Rolex? I really think that my next watch will be a modern rolex - either a Rolex Milgauss GV or the new Explorer II. I have seen and tried the normal black dial rolex millgauss, and that watch don't say me anything - but the millgauss GV that is a different story. It looks cool, the colours are nice, and the MG have a history that makes it just as special as the original explorer II (made for cave explorers) and the dweller (for pressure chamber divers - deep sea). The MG was made for CERN / scientist that works in high magnetic fields. So the dweller, Explorer II and Milgauss was made for a very small group of people and their needs. That these watches was made for a limited group of people can also be seen by the price of the original models. The milgauss - is the most expensive - mainly because the number of watches sold was limited, next is the Explorer II (1655) - that watch is also very expensive, and last the dweller - but if you can get a red/double red SD that is another story. The Explorer II lives a underrated life - both the model 16550 and 16650 - can be found very cheap - why I don't understand. If ONLY 3 watches what should they be? Always a good exercise to perform when more that 3 watches. If your where REALLY only to have 1-2-3 watches of your collection - which would it be, and why. My Rolex Explorer II - 16550 - My first rolex, and it have a story that makes it my LAST watch to leave my cold hands. Besides that I think that my day-date could be nice growing old watch, but still a little unsure. And I also think that the zenith daytona could be a long living watch. Funny how I don't included any subs - why is that - and also because I still want more sub kind of watches. Maybe a gold sub could be a success? Next I think of my two children - boy + girl - It would be nice if they had a watch they could make their own story behind. Like recived the watch from their dad at their 18 years birthday/Graduation, and from their let their watch story be unfold. For the girl I think the rolex 1675 would be perfect, and for the boy it could be my daytona or my dweller (16600). The trend in watches goes up and down, and something that was hot for 1-3 years ago is now so yesterday. The black watches are now on their way down, I don't see that the black watches trend continue that much more. Below I have tried to list the trends and there success in the future, seen from my point of view. PVD/DLC models - black watches - Limited success - some are nice - but it is a fashion on the way out. Complicated watches with view of their inner works - not that hot - will always be there but only for some brands. Real historic watches - Some rolex (milgauss), omega speedmaster, Cartier santos/tank will rise. Nothing special - just some close up of my watches. Anyone collecting watches will know that a watch with a back-case inscribed with e.g. COMEX, SEALAB, MN or some numbers, also knows that the value of that watch is now a multiple of that same watch without inscriptions. Why is that so - well it is all in the history of these inscriptions. Now we have some history to put on the watch , where it has been, or was supposed to go, but the watch is identical to any other watch of the same model (5513 milsub maybe not). But how about a watch with a less know inscription on the watch, what does this do to the value of a watch? Many times this will reduce the price of a watch, it will NOT increase the value, so what to do when presented with a watch with a inscription. I say go for it - collecting watches is just as much about the nice look as the history these vintage watches brings. Some of my watches with inscriptions. There are nice, and maybe ad some value to the watch, but the main part is that it add some history. Any new classic on the way? When I see some photos of old versions of the rolex sub, daytona, omega speedmaster, I sometimes feel that watch brands have a very difficult time in designing new classic models. Are we only seeing new wine on old bottles, or is their some watch brand out their that can make their own new classic models. Omega reintroduced their seamaster 600 professional - Panerai comes with multiple numbers of models that come from their background. There have been a understanding that rolex is to conservative with their very slow evolution of their models. Just tahe a look at my 1969 rolex gmt and the now old version of the 2007 green sub. There is not that much difference in these two, and even these two are two different models, but we can see where there DNA comes from. When will we see a new model that can become a classic, from a designer that can make his/her own statement. Maybe Richard Mille is the new designer on the block, maybe Linde Werdelin, maybe some brand I don't know about. But somehow I feel that the "old boys" don't have any new classic model coming any time soon. And when I say new model I mean new design, layout, size, look and not just a new dial or hands on a watch. Is their a decline in the interest in watches? Has the watchworld seen a decline in the interest in watches. Are we a smaller and smaller number of people that visit different forums and "talk" about our passion, or have we found a level where WIS people are moving more and more into small GTG, or other of many watch forum to be found on the internet. Is the classic look (vintage) the new black for watches? Somehow I feel that my predictions from last year, that the focus on big watches, complicated watches, fashion watches, etc, would see a decline and people would return to the "good old times", with normal size watches, the classic look (no more tourbillions). From the latest watchshow in SIHH there is a number of indicators on this trend, see the watchthread on vintagerolexforum.com and see if you agree that the classic and "heritage" look is back in business. Some NEW cold photos of three watches. King winter will not let go of Denmark - it is still very cold, but somehow it also look beautiful when the sun is up, and the landscape is dressed in white. I took my watch out on into the snow and made some new photos for some old watches. Have been looking more and more on these watches, and I think the next one will be in the following list. Well beside these I like Rolex gold watches more and more, and I like the combination of steel and gold to some extent. I would think that a gold/steel rolex sub could be a nice watch. Only time will tell - but I keep my eyes open for any good watches out there. If your looking for a watch that will stand the test of time, and still be look good on your wrist in 20 years from now, which watch should you then select. I find than many brands have some watches that will stand the test of time. When I think back on different watch trends, and what watches have survived the test of time, I have some watches in my mind. For Omega - it is their Speedmaster mostly, I would have said their Omega de ville model, but after checking them out, their are way out - why do they destroy a nice watch like that with over the top design! Next the Rolex - that must be the brand together with Patek Philipe that keep their number of redesign at a minimum, and only very slowly make changes to a model. 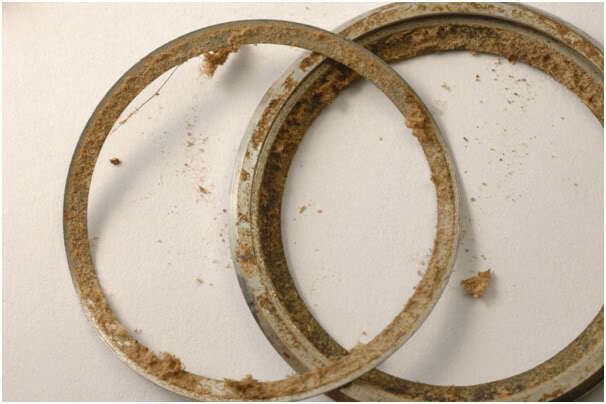 Take the rolex submariner, day date and date just - You can be hard pressed to tell the difference between a new and a 20-30 years old watch if your not a WIS. That I like - why destroy something that works just because of trends that only last 1-2 years. For the Patek Philipe I will say the same - I don't have the much info on PP watches, but when I check out the nice watches I can't tell a newer one from the "original". Here are a photo of my two rolex with more than 30 years between them. A good place to find information on Rolex watches is as always vintagerolexforum.com where many very Rolex WIS persons make their comments. Check out this little story about the restoring of a vintage Rolex 5513 - that looked like it had lived a hard life, and could look as it was beyond repair. A quick before photo - and I invite you to read the story yourself. If I came into my local Rolex AD with a watch like this I could maybe feel that the price for a complete service including spare parts could be almost OK.
A good friend of mine asked the local Rolex AD for a service of his Rolex gmt 1675/8. Only service of movement, no replacements of glass or anything. And big was his surprice when he found out that the cost of service for a vintage watch was raised almost 100% from the 1 January 2013!! This now means that Rolex AD service, more and more come out of scope for people with more than 2-3 semi-vintage rolex watches. Normally I post photos of single watches, but sometimes there is something nice about photos of more than one watch. Som here are some photos of my watches where they sit together. When you have more than 3 watches, and your on the lookout for additional watches, what are you buying for. A watch to wear or a watch to "keep", but maybe not wear that much. I have found that I'm now moving into the stage where changing watches as other change underwear is not my style anymore. I can easily change my daily watch, but will the keep it for maybe 1-2 months before changing again. But I still buy any new/old watch to use are wear, because I get a enjoyment in wearing and looking at my watches. Even my gold watch that is almost NOS - and well for some a shame to wear - gets wrist time, and get used as a daily watch without me taking special care of it. And the watches I'm on the lookout for is still to be worn and still to be used as my daily watch. For me a daily watch is a watch you wear 24/7/365 - without thinking twice if your going to paint, build a IKEA closet, or any other more than desk-work. 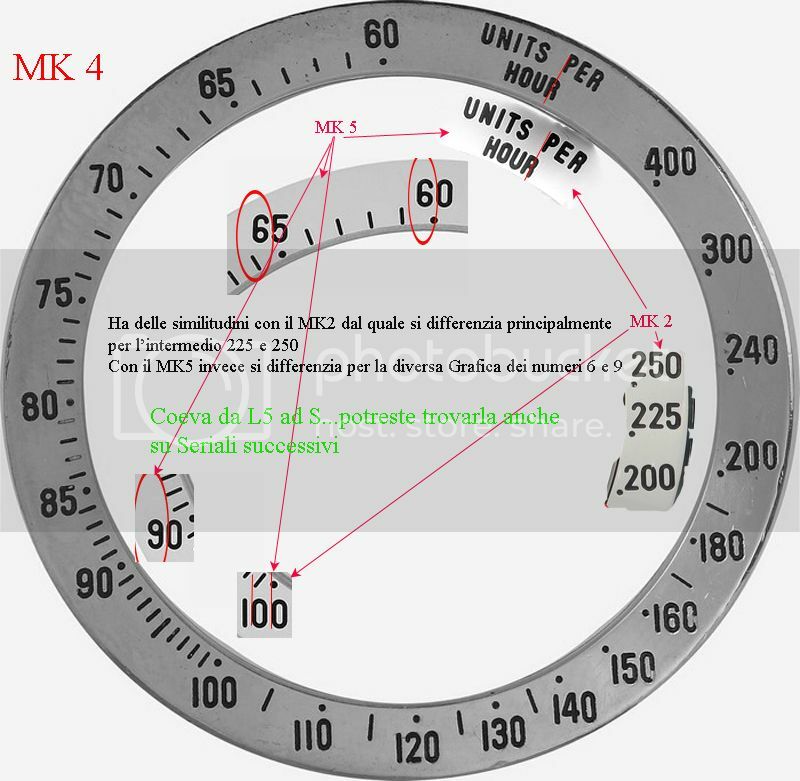 Found this on the net with all the needed information regarding the Rolex 1680 red sub. All the dial variations of the infamous red sub. Check out all the information here on watchprosite and be sure to check it out on all 1680 subs you look at. The rolex 1680 sub have 7 dial variations. And to end it all - some old photos of my 1680 - white. What is trend for 2013 in watches. What is the trend for 2013 in watches? That is the question that many people on different watchforums think about . What will Rolex come out with based on their last releases, what will Panerai come up with,etc..
Panerai will release multiple models - but based on the last years debate - will focus more on their old models. In general - because of the crises - focus will be on quality over bling bling. Watch size is back to around 40mm - gone is the plus 45mm watches. But what but the pre-owned watches, what is the new black for the used watches. The Rolex gold is on the raise - much more focus. Rolex gold/steel watches become much more interesting. Gold Rolex daytonas that have lived a silent life - will move into the hot spot. I dont get this question that much - but when I ask the reason for a new watch. If only to "tell" the time - then I also recommend that they buy a new watch with all the goods that come with it. But if they way they want something special and that they like watches, then it is a completely other story. With the focus moving away from the high bling bling, fast cars and oversized watches, over towards the more classic and less bling bling, I can understand the need for seeking back to basic. I got my self a used but nice 1665 some months ago, and during a talk with a other watch WIS (more WIS than me), we talked about that we any day would prefer a vintage/Semi-vintage rolex/omega watch over a brand new watch. And when the price was so good on the vintage watches, it was a easy choice for us. Why buy a new rolex sub, sea-dweller - when you could get a vintage sub or sea-dweller for almost the same price? For us it was a easy choice - but I can understand why many others can't see the idea. Let me try to explain the reason for selecting a semi/vintage rolex watch and not a brand new in box from the local AD. Same quality - well almost - the newer is probably a little better - but the old ones have proven their value over time. The WHY IN THE HELL buy a old watch? It has something to do with history, feeling, look, classy, build before the watch became fashion, etc..
To put the record straight - I love my New rolex and other watches, but there is something about a watch form the 1960,1970 and even 1980 that was made before the watchforums and interest for watches gained momentum. A watch from the time before the cold war ended, when man walked on the moon, when the deep oceans was explored, when east and west still was in conflict. I don't say I miss the times, but I feel that many newer watches have had to much focus on "exploring" the watch craze and less on the real business - namely making timepieces for their intended use. Welcome 2013 - what will it bring? Welcoem 2013 - Have just returned from a little x-mas vacation and is now ready for 2013, and what it will bring. What watches will leave me, and what watches will join me?. Time will tell, but I have the feeling that either something gold, something old or something new will come my way. Be VERY carefully out there - vintage watches so easy to fake. With the raise in prices for vintage rolex and also now Omega - I think the time have come for any collector other than the real experts to look away for the expensive vintage watches. I would be very carefully in buying a DRSD (double red sea dweller), SRSD (single red..), red 1680, 5512/5513 meters first, Big crown, etc.. When I check what you can buy and make a simple rolex into a very high prized watch with a new dial - we are in the zone where any one out for a quick buck - can buy a standard rolex, buy for some few dollars a new dial and maybe even a new case-back - and presto you have a different watch - that i major parts are all original, but the parts that really matters (for the price) is fake. And the ONLY reason I can see people going this way - is to fool people to pay premium for a watch that is not what it pretends to be. Who would change a watch back with a different one - just for fun? Who would change dials to a not original one - but unoriginal with "vintage print"
In general - why change the look of a watch - to look "older"/ more rare? So I'm just saying - be very careful about the semi-rare watches out on the Internet for sale. I would rather pay 10-20% extra for a watch and buy from a well known seller, than taking a risk. That said - there have been more than one occasion where known auctions houses have been known to sell less than correct watches - so even this is no guarantee for a verified watch. And probably I would rather have a not so rare watch and enjoy it - than taking a chance. I can see a future where these special watches can only be sold through high end second hand watch dealers. SOTC - 2012 - State of the collection. The ever returning STOC status every year - Lets recap. Been very little online the last 4 months. Mainly because work have taking so much time and energy that my daily or weekly update have been more or less neglected. I hope to return to more steady updates in 2013. But just to let everybody know that I have not closed my passion for watches, I have just had other priorities that have caused a lack of focus on watch updates. When I see the commitment from many of my fellow watch "collectors" I find that we are close to put our-self in the same catagory as people collecting busmodels, licence plates numbers, Valo detegerent, etc..
OT: Anyone outthere smokes cigars ?? I would buy semi-vintage over new almost ANY day. When I see on the price for new Rolex watches - even "entry" models are now very expensive. And this also result in very expensive prices for used modern Rolex watches. And when I see that the prices for older semi-vintage or vintage Rolex I for one would 90% of the time always get a semi-vintage/vintage Rolex over a full new modern version. I would prefer the older gmt vs the newest gmt, the older sea-dweller over the deep-sea (well two different watches), the older day-date over a very expensive newer day-date. But I think the test of time with the older Rolex watches are OK proof for me that they can continue to give pleasure many year to come. So always buy the older Rolex watches - (and even more Omega) - when looking for the next watch. Just check out these vintage Rolex vs the newer versions.